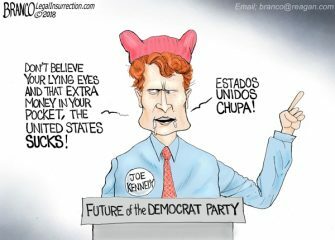 Pelosi says Trump is not welcome to give State of the Union Adress at the House of Representatives due to..
Rich and very white, Joe Kennedy gives an anti-American response to Trumps very pro-American State of the Union. 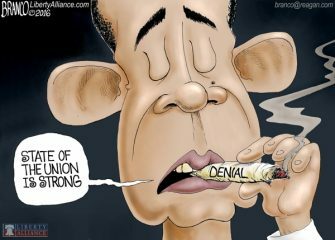 Political Cartoon..
Obama SOTU Denial – Getting high on a big fatty called denial, while the destruction of America continues. 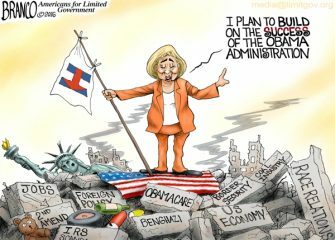 Cartoon by..
Obama SOTU Rubble – Hillary plans to continue the disaster as president. 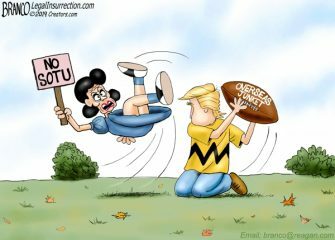 Political Cartoon by A.F.Branco ©2016. 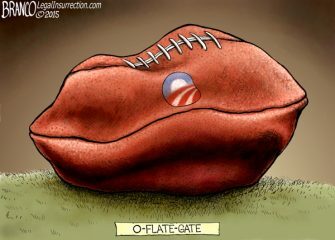 More A.F.Branco Cartoons..
Deflate Gate of the political kind. 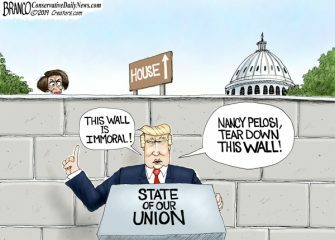 Obama doesn’t like playing by the rules constitutionally, and isn’t beyond inflating his job..
Trickle Down Taxation put forth by Obama, he says, will help the middle class. 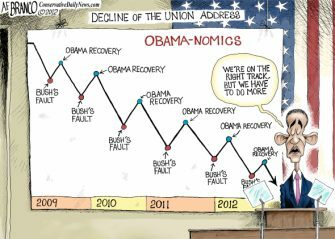 Many believe this redistribution scheme will..
Sunday Past Blast cartoon. 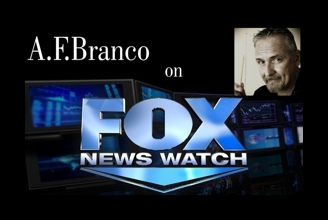 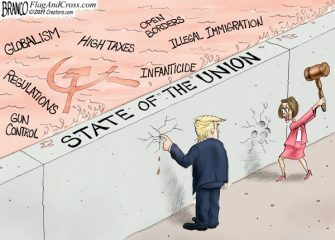 A.F.Branco cartoon from 2012 State of the Union Address. 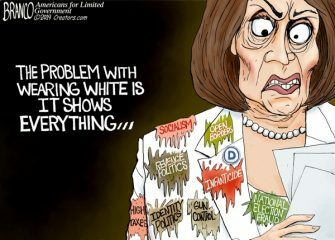 Things just seem to get worse every..